The fallout from a horrific Washington explosion has just begun—and so has CIA superagent Mitch Rapp’s hunt for a killer with a personal agenda—in this explosive thriller from #1 New York Times bestselling author Vince Flynn. In the final weeks of a fierce presidential campaign, a motorcade carrying candidate Josh Alexander is shattered by a car bomb. Soon after the attack, Alexander is carried to victory by a sympathy vote, but his assailants have not been found. 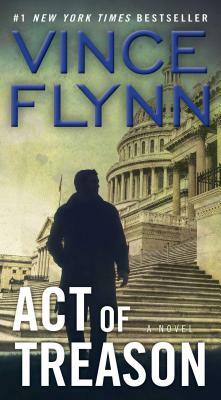 When CIA director Irene Kennedy and Special Agent Skip McMahon receive damaging intelligence on Washington’s most powerful players, they call on Mitch Rapp—the one man reckless enough to unravel a global network of contract killers on an explosive mission that leads back to the heart of our nation’s capital…and the inner sanctum of the Oval Office.